For the second week of the Game On! Diet competition I was in sunny California on vacation! It was a last minute trip and I didn't know I was going before the game started. I will admit I was a little bit nervous to see how it was going to go. But once I got into the routine of things down there it went pretty well! My vacation was so much fun! We were in Southern California for 6 days - we spent 4 days at Disneyland and two days at the beach. It was so nice to have no schedule - to not have to be anywhere at a certain time - we just got to do whatever we wanted whenever we wanted. It was such a relaxing trip and I felt so blessed to be able to go. I can't wait to go back! Planning was definitely key to having a successful week of the Game while on vacation! Before we left I made protein muffins to take with us - these were a delicious way to eat on the go! I also packed Game approved foods such as nuts, protein powder, fruits, and veggies. Disneyland is great about letting you bring your own food into the park so to save money and calories we packed food to take with us every day. Getting my exercise points every day was easy because we walked everywhere! It's really easy to drink 3 liters of water when its 75-90 degrees outside! I am pretty sure Disneyland sends scents of all of their delicious treats into the air! Timing - on the Game you have to eat every few hours and on vacation the last thing I like to do is look at the clock. The easy fix to this was setting an alarm to go off the next time I was supposed to eat. Get creative - one of the best things I discovered was an iced coffee with protein powder. Because we were on the go I made a quick stop at Starbucks and ordered a grande nonfat unsweetened iced coffee in a venti cup then I mixed in protein powder. This was a great way to kick start my morning! I didn't feel deprived at all - before I left people were telling me that it would be hard to stick to the rules while I was on vacation but instead of focusing on what I couldn't enjoy I found it really easy to focus on everything that I was enjoying - the sun, relaxing, making great memories. I didn't end up loosing any weight this week - which I will admit was really frustrating considering that I stuck with all of the rules. One thing I will work on for next week is my day off of food - I think it's easy to say it's my day off I can do whatever I want - but let's be honest that's not a good way to approach it! We are half way through the game and I am excited to see what happens! 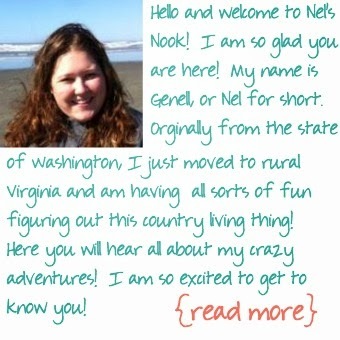 Don't forget to like Nel's Nook on Facebook or follow on Google+ so you don't miss any of the action!